The Best Zoology Podcasts from thousands of Zoology Podcasts on the web using search and social metrics. Subscribe to these audio podcasts because they are actively working to educate, inspire, and empower their readers with frequent updates and high-quality episodes. Zoology Podcast newsletter is a comprehensive summary of the day's most important audio podcasts episodes from the best podcasters on the web, and delivered to your email inbox each morning. To subscribe, simply provide us with your email address. About Podcast Zoological Radio is a production of the Santa Barbara Zoo. Their wild and crazy team really puts the ham in radio. This podcast features interesting stories about animals from interesting people. Facebook fans 60,520. Twitter followers n/a. London About Podcast The Zoological Society of London (ZSL) is a charity devoted to the worldwide conservation of animals and their habitats. Facebook fans 38,647. Twitter followers 20,290. About Podcast Welcome to the Burgess Animal Book for Children by Thornton W. Burgess. It describes the mammals of North America in the form of an entertaining story, including plenty of details. About Podcast Cryptomundo is a website for cryptozoology news and opinions worldwide. It is a place to enjoy the adventures, treks, theories, and wisdom of some of the most respected leaders in the field of Cryptozoology. Facebook fans 11,730. Twitter followers 7,213. United States About Podcast The Common Descent Podcast is two paleontologists-turned-science-communicators chatting about the diversity of life. Facebook fans 278. Twitter followers 507. About Podcast All Creatures podcast is about educating listeners on the animals we share this planet with. Weekly discussions on conservation and endangered species. Facebook fans 547. Twitter followers 233. About Podcast Palaeocast is a non-profit organisation with the sole purpose of communicating palaeontological information to the public in an accessible format. Facebook fans 4,095. Twitter followers 4,784. UK About Podcast Welcome to Tetrapod Zoology Podcast by Darren Naish and John Conway. They talk all things related to tetrapod and vertebrate palaeontology. Facebook fans 6,712. Twitter followers 16,519. 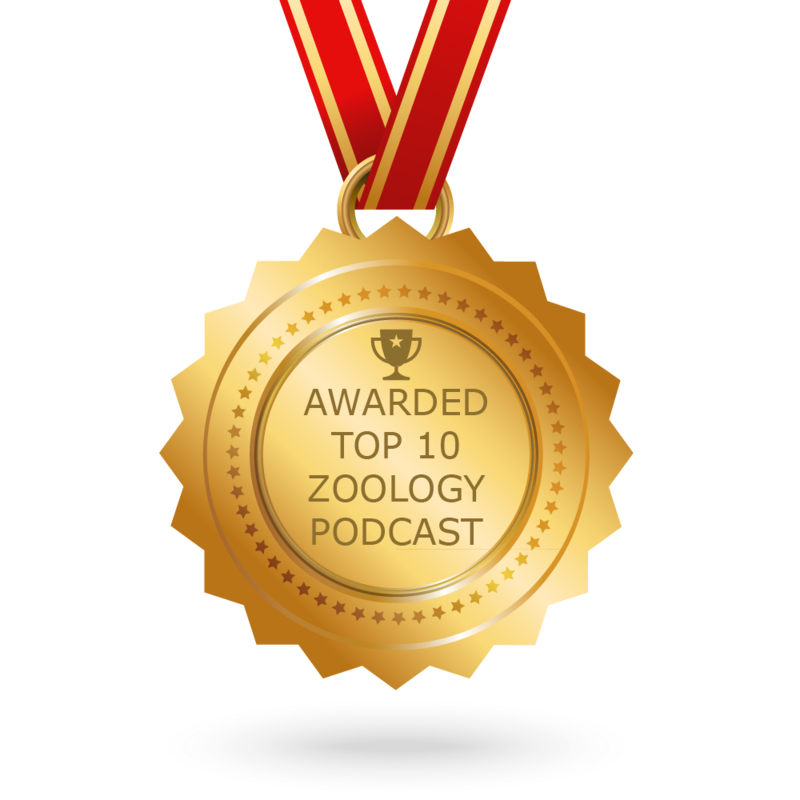 CONGRATULATIONS to every podcast that has made this Top Zoology Podcasts list! This is the most comprehensive list of best Zoology Podcasts on the internet and I’m honoured to have you as part of this! I personally give you a high-five and want to thank you for your contribution to this world.